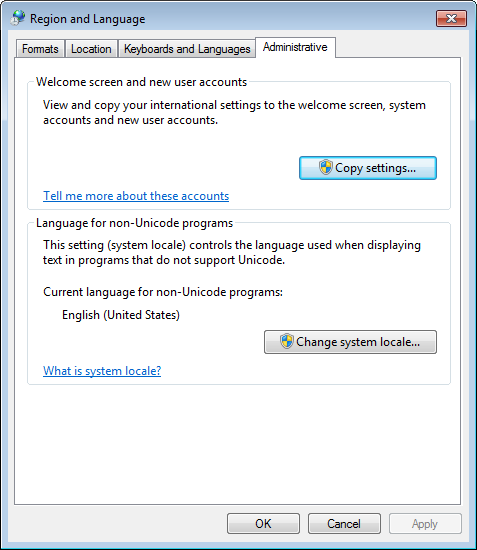 Under Windows XP to change the language setting for non-Unicode programs you may need to change the setting of the taskbar and start menu first to “Classic Start Menu” in order to access all the options of Control Panel. 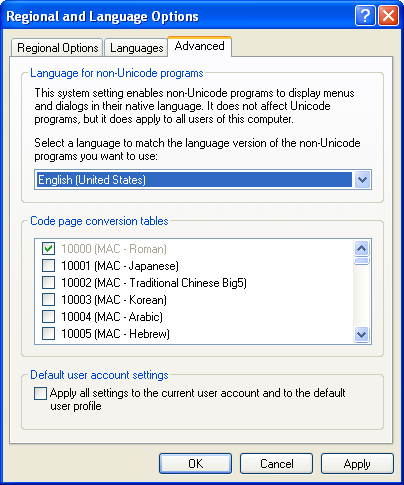 Set the language for non-Unicode programs to the language that you use. This entry was posted in Information and tagged Language Settings Non-Unicode Windows 7, Language Settings Non-Unicode Windows 8, Language Settings Non-Unicode Windows XP, Non-Unicode Program Settings, Non-Unicode Support, Non-Unicode Windows 7, Non-Unicode Windows 8, Non-Unicode Windows Vista, Non-Unicode Windows XP on April 12, 2012 by MindGems Support.